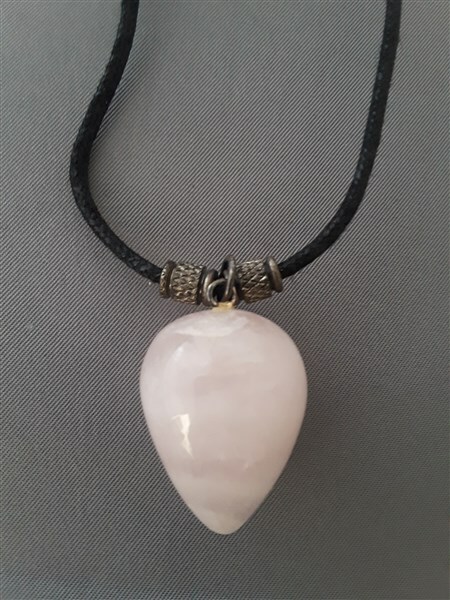 Rose Quartz Pendant Necklace We will not be accepting orders from Tuesday April 30, 2019 until Tuesday May 14, 2019. Please feel free to browse and order your Mother's Day gifts before then. Thank you! 16" black woven cord with pretty pale rose quartz pendant. Fish hook clasp with 1" chain makes it somewhat adjustable.